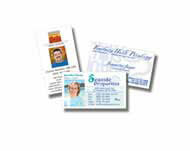 We are pleased to offer the highest quality printed color business cards at a very affordable cost. Our business cards are digitally printed on 100# Crisp Radiant White Dull Coated Cover stock. Calling cards are trimmed with special machinery to have sharp corners. The final product has a very nice "snappy feel" to them. 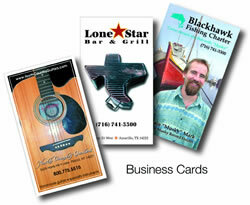 View our sample business cards!